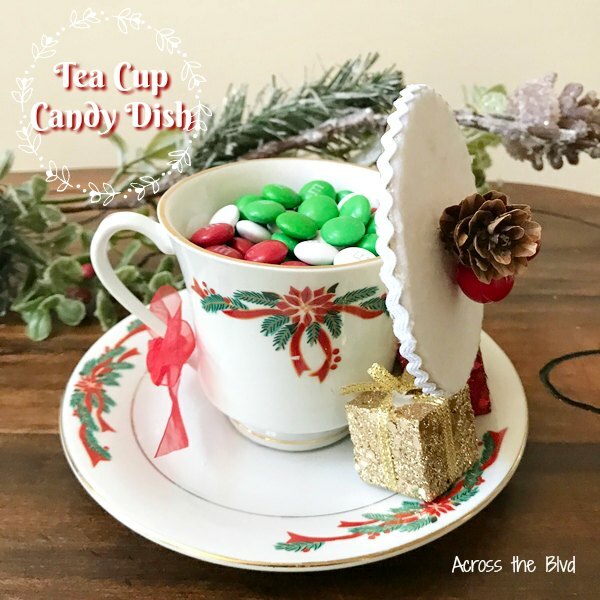 Make a pretty Christmas Tea Cup Candy dish using an old tea cup. Making a lid for it is simple and only takes a few items. Fill it with colorful candy for a pretty display over the holidays. 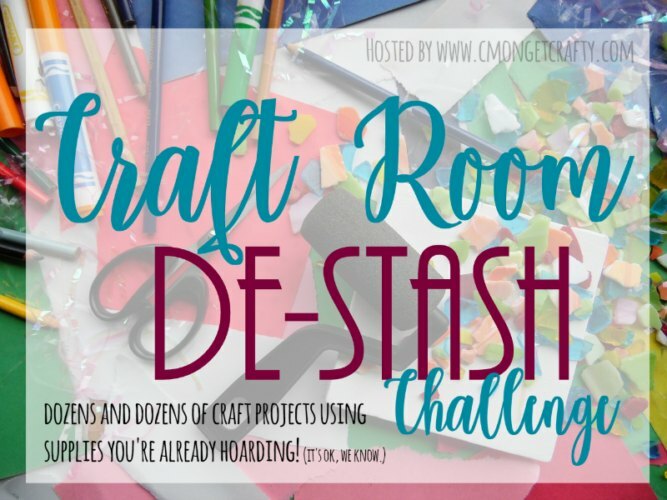 It’s time for this month’s craft room destash challenge! I had several ideas in mind for this month’s destash project. My craft room has lots of items that I need to use. While the tea cup wasn’t stashed away in my craft room, it was an item that needed a new use. This cup is from a set that I bought last year at Goodwill. As I was taking it out of the box once I brought it home, I dropped one of the cups and broke it into several pieces. Don’t you hate when something like that happens? Since the set was only a few dollars, I didn’t feel too bad about it, but it left me with three cups instead of four. That’s when I decided I would use the remaining cups for crafts. Everything I used for this I had on hand, so it did help to put a little dent in my craft stash. I used a wood craft disc that I found among my many wood craft pieces. 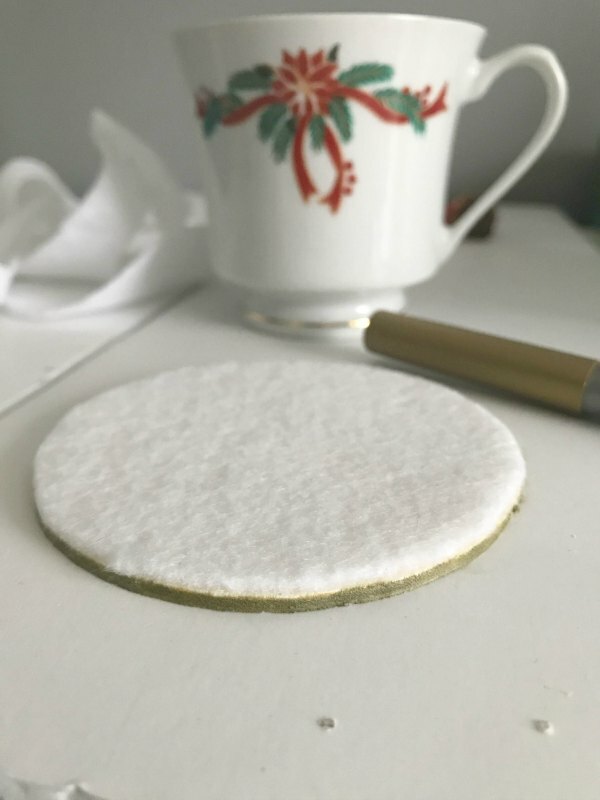 Use the disc as a template to cut a circle from white felt. Spray the disc with adhesive spray and place the felt circle onto it. 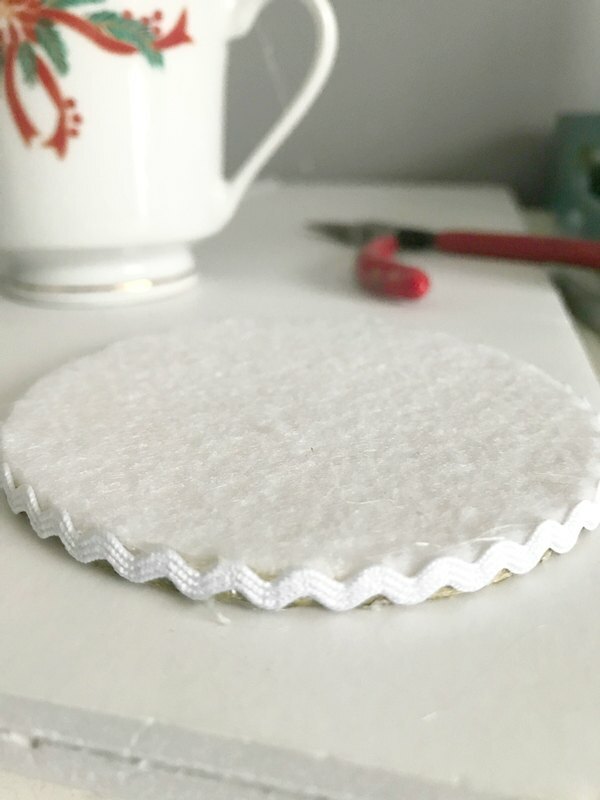 Cut a piece of rickrack to fit around the disc and hot glue it in place. 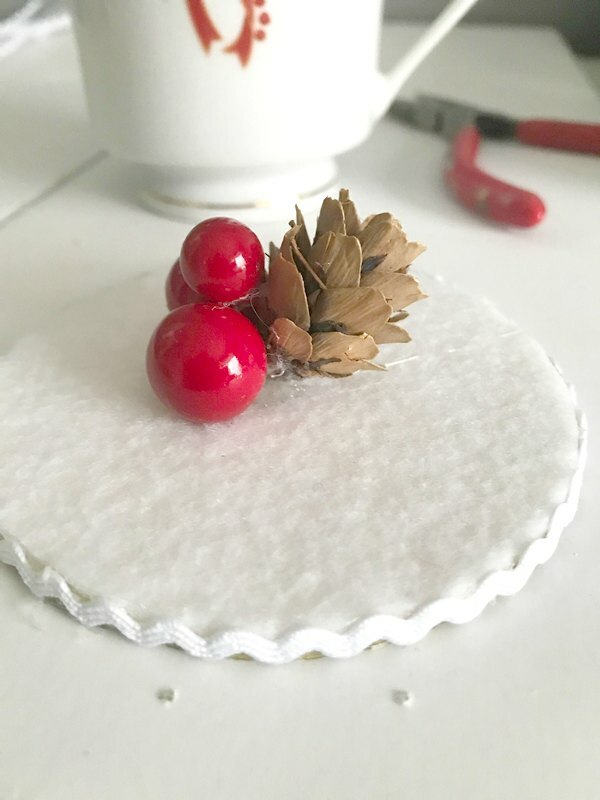 Hot glue a mini pine cone and red floral berries to the center of the felt lid. You could also use bells or any Christmasy embellishment. Place a generous amount of hot glue onto the saucer at the spot that the cup will sit. Place the cup onto the hot glue and hold for about a minute. 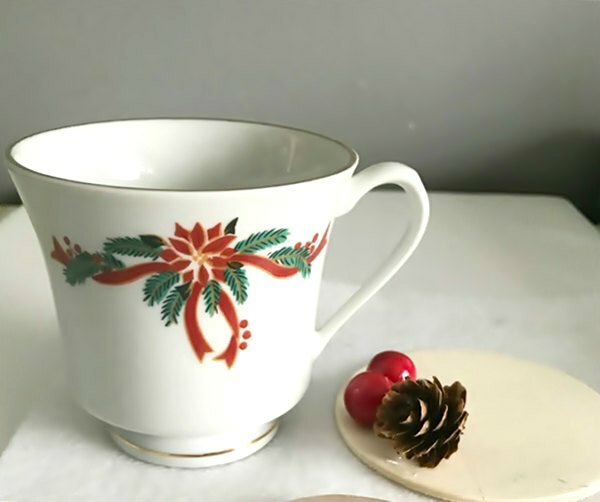 Add a small ribbon and tie it off into a bow on the cup handle. Mine is filled with holiday M&Ms, but any colorful candy would look pretty. I added a few small glitter present ornaments that I bought last year at Walmart to the saucer. Remove the plastic hook and add small dots of hot glue to hold them in place. After making this, I don’t feel bad at all about breaking one of the cups from the set! I’ve got plans for another cup that I’ll share soon. Thanks, Marci! Red Hots would look great inside of a Christmas cup. Thank you for pinning! Very pretty! 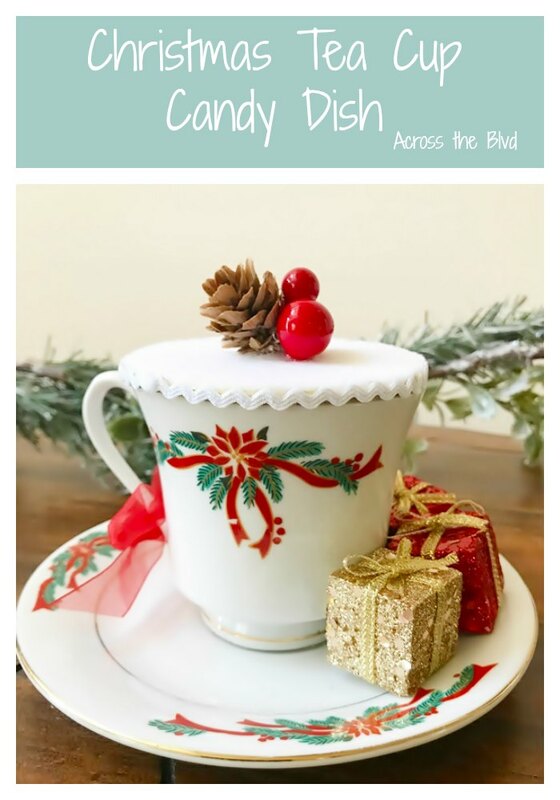 I inherited several teacups from my mom – this looks like a great way to use them! Thank you, Roseann. I’m planning on making a candle holder with one of the others from the set. It’s great to find useful ways to use items like this. This is an awesome idea! Great job. 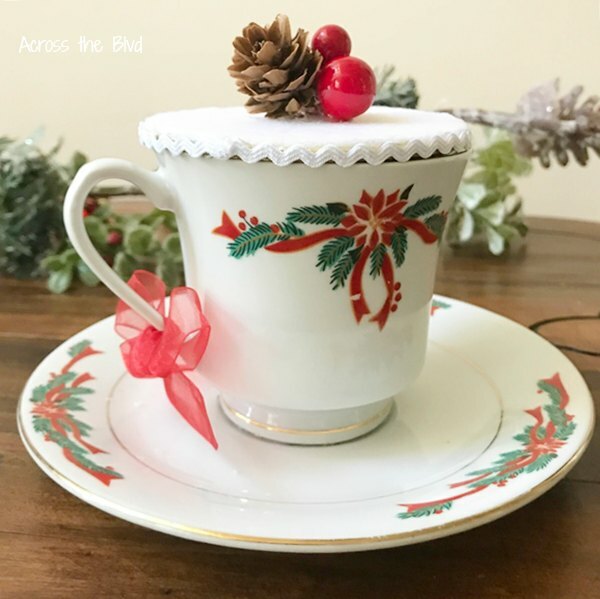 Kind of thinking this would be a great idea year round, using different tea cups for the seasons. They would be cute for year round candy dishes. I’m going to keep my eye out for some when I go thrifting. Thanks, Deborah! Adorable project. 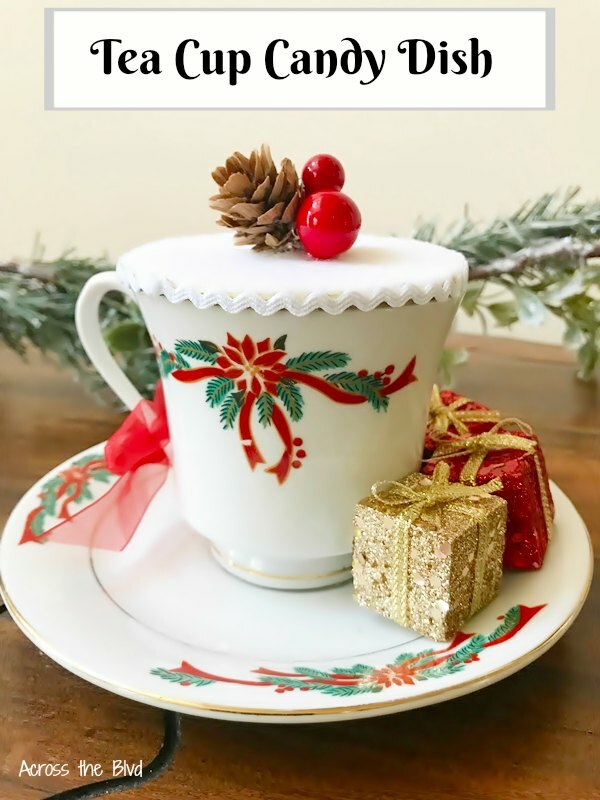 I don’t have any teacups but do have several Christmas coffee mugs that I could repurpose with this idea. Cute idea, Beverly! I have a bunch of teacups in storage that it’d be fun to make one of these into when we get them out. <3 Happily pinned for you ~ coming over from this week's Waste Not Wednesday. Oh! While I am thinking of it, tonight at 7:00p.m. EST starts this week's Share YOur Style. I am one of the new hosts this fall if you'd like to stop by and link up your post. Hope you will!